Come by the Bevie, meet your VT-neighbor-maker, sample scrumptious wine, and get -10% off any bottle. 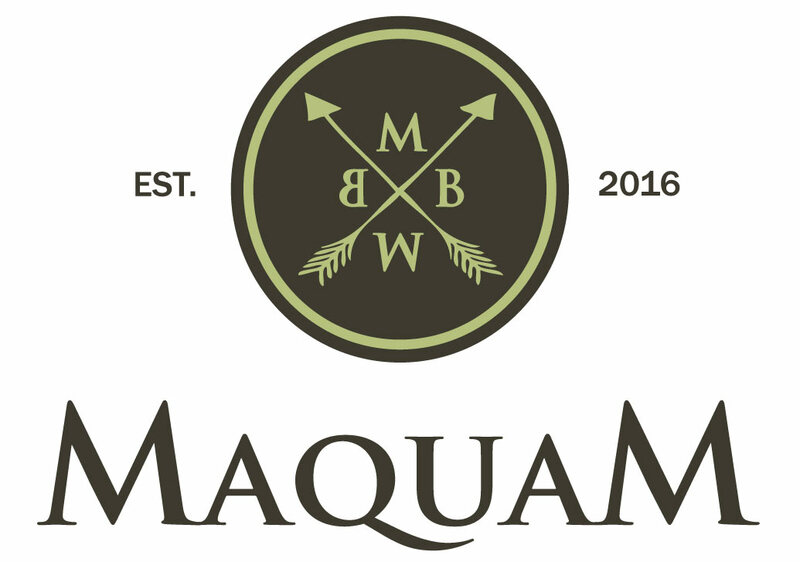 We are always delighted when Maquam comes over and brings their delicious, award winning fruited wines! 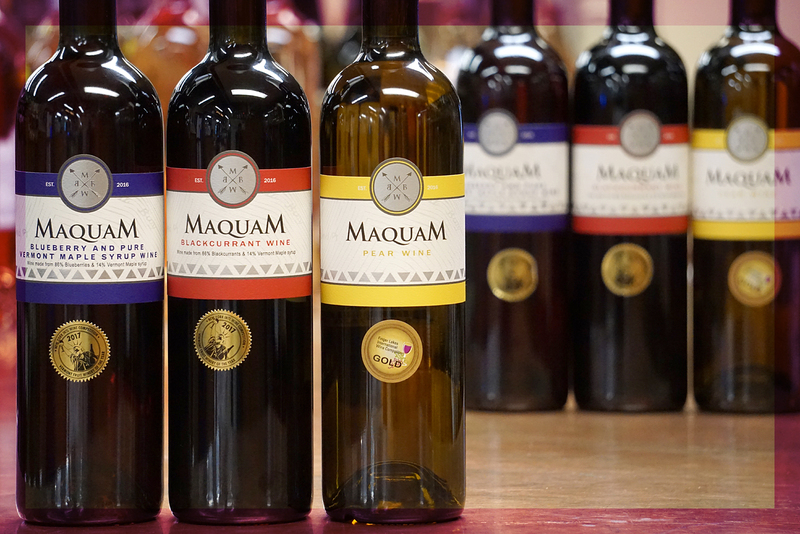 After 100 years and five generations, the family is legally producing wine in St. Albans, Vermont made with syrup from Fairfield, Vermont. Located on 10 acres, at St. Albans Bay Vermont, this land has been in the Brook’s family since the 1600’s and is listed on the National Register of Historic Sites. There is a mound of rock located on the land that contains chert, which the pre-historic Indians used to make their tools. Chert is a fine-grained silica-rich, sedimentary rock that may contain small fossils. The Paleo Indians used the chert for their stone tools and fire starting kits. Chert originating from our location has been found as far away as the Dakotas and Nova Scotia. This fossil rich piece of land is one of only a few sites of its type in North America. Around seven acres is being dedicated to the production of fruit wines. The berries are grown along Maquam, St. Albans, and Lapans Bays along the shore of Lake Champlain, where the still water affords one of the longest growing seasons in the North East. The primary fruits grown on the property are blackcurrants and Haskap berries. 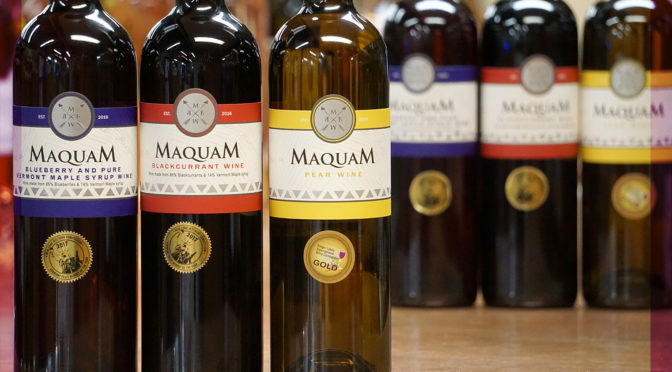 This award winning pear wine is fruit forward and highly aromatic with lingering tropical undertones. The pear continues on the palate with an exceptionally smooth and lingering finish. Its beautiful light golden color and layered, balanced body makes it a perfect appetizer wine to enjoy with friends. Our pear wine matches perfectly with picnic fair, salads & sandwiches, Asian cuisine, fruity desserts, grilled chicken and mild cheeses (brie, Gouda etc.). It is also excellent on its own or as a spritzer. Serve chilled! This full bodied award winning black currant wine is hugely aromatic and complex. This garnet hued beauty opens with notes of ripe wild berries and rich oak. Made with 100% estate grown fruit in the Green Mountains of Vermont and locally sourced Vermont Grade A maple syrup, this will be sure to please any discerning pallet. The ten months of French oak barrel aging adds layers of silky vanilla and caramel undertones. Dry, yet silky and soft, pair it with a variety of foods including strong cheeses, game meat, pork & chicken, festive meals and even some light curries. Also, pairs well with light desserts. 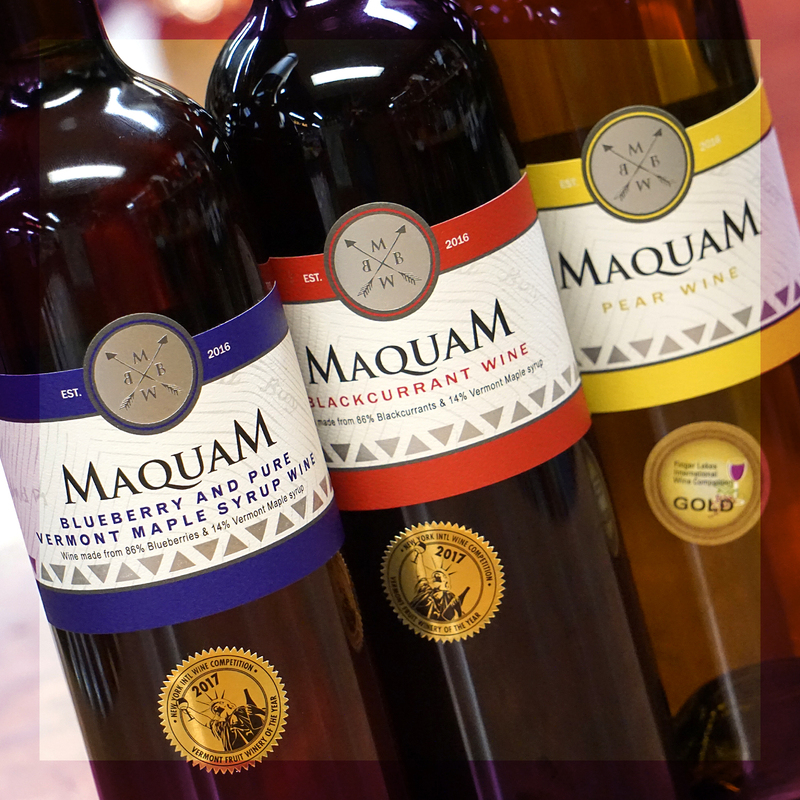 The round jammy flavors of our black currant wine can be enjoyed on its own or as a spritzer. Serve chilled! This fragrant and well-structured blueberry and pure VT maple syrup wine was aged six months in oak barrels and made with Vermont pure maple syrup. It is off-dry, yet fresh tasting. It has notes of berries, vanilla and maple. Pair with any cheese, cream based dishes, white meats or enjoy it on its own or as a spritzer. Serve slightly chilled! 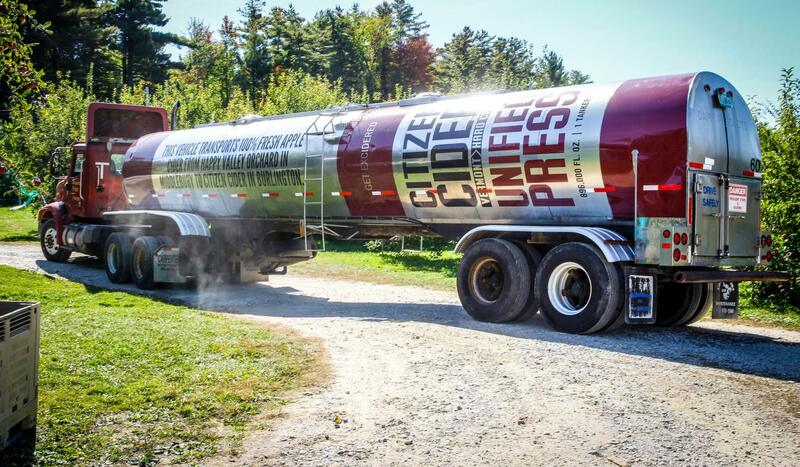 Citizen Cider is a VT treat all year round, especially in the Fall – just stop when you see the tanker! 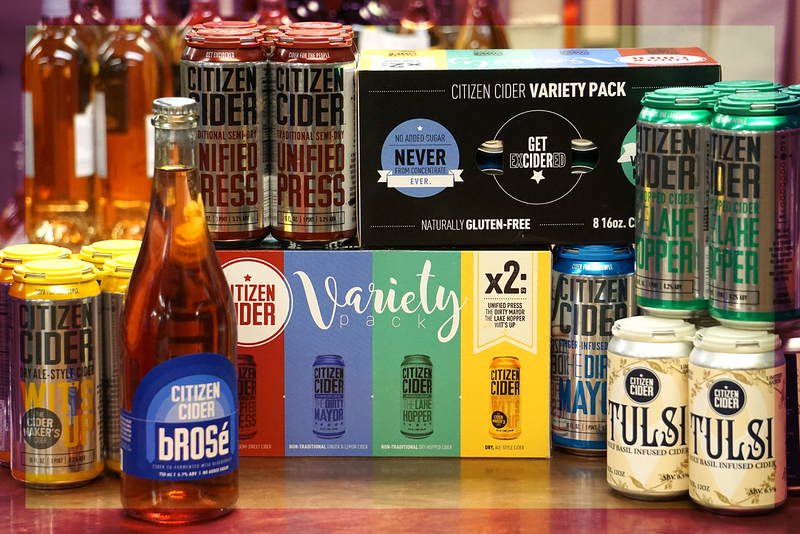 Made from 100% locally sourced apples, never from concentrate, the Unified Press is Citizen Cider’s flagship cider that keeps you wondering where it’s been your whole life. 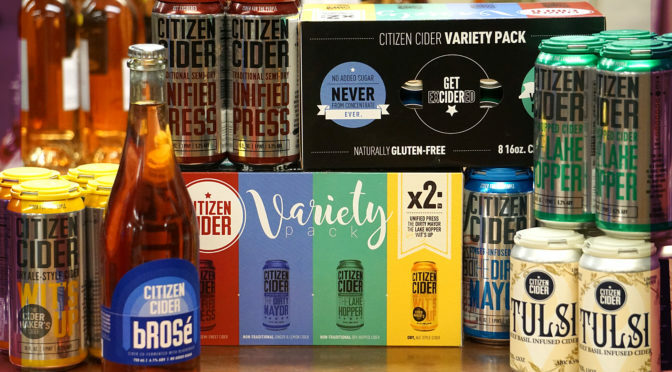 This naturally gluten-free cider is an off-dry, crisp, clean and refreshing cider that keeps you coming back. No added sugar, never from concentrate. Apples pressed at Happy Valley Orchard in Middlebury, VT. Manufactured in Burlington and Middlebury, VT.
Pairings: Pork, soft cheese, spicy food, smoked fish, rustic bread & butter. We offer this cider to the honorable and fully infamous mayor of the only non-town in America, Fort Ethan Allen, USA. The mayor likes his cider with a ginger nip, so in our current effort to ensure local harmony and diplomacy we offer this cider up to the mayor and his fellow citizens. Juice pressed at Happy Valley Orchard in Middlebury, VT.
Dry-Hopped with 100% local cascade hops. Pairings: Scallops, pork burger, ceasar salad, cheddar cheese. There are ciders for the people, and there are ciders for the people who make the cider for the people. Wit’s Up is a classic cider maker’s cider. Drawing on the old and new traditions of cider making, it starts like an ale and finishes like the dry, sessionable craft cider that it is. It’s cider for today, it’s cider for what we believe the future of cider to be. Come, enjoy the future with us and drink Wit’s Up. No Sulfites, No Potassium Sorbate. Pairings: Bratwurst, brioche, roasted chicken, root vegetables. Tulsi, more commonly known as Holy Basil an aromatic perennial. Harvested in the summer of 2018 right here in Burlington at Hallow Herb Farm. We add this local herb to our off-dry cider blend and let it steep letting the aromatic basil complement the fresh apple cider. Once a house favorite only shared locally, now a cider to share with the Citizens. Tulsi Basil harvested at Hallow Herb Farm in Burlington, VT.
bRosé: Cider rosé made by three bros right in the great state of Vermont. bRosé is hand crafted by co-fermenting 100% Vermont blueberries and sweet cider pressed at Happy Valley Orchard in Middlebury, Vermont. bRosé is the embodiment of cooperation. Blueberry and apple, summer and fall, farmers and cider makers. Here’s to getting along. 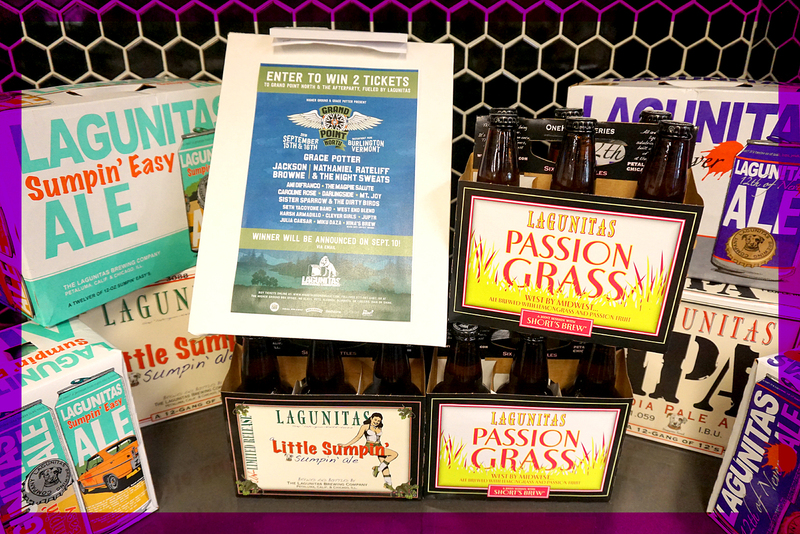 Blueberries from Charlotte Berry Farm in Charlotte, VT.
Juicy IPA’s, tart ale’s, deceptively smooth double IPA’s, seasonal one-hitter series, darkness, one of the best triple IPA’s on the market… Lagunita’s does it all! 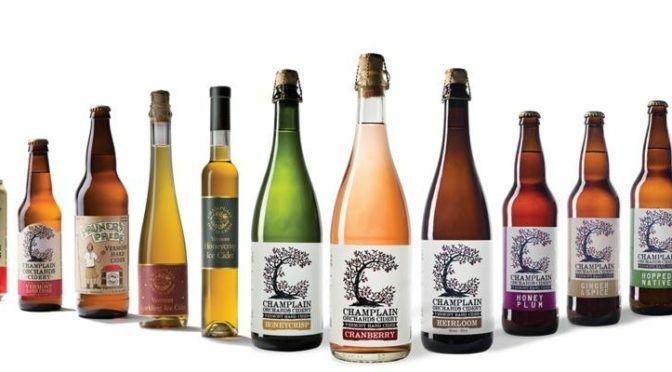 Try the line up from Champlain Orchards VT! – Honeycrisp – NEW in cans!! 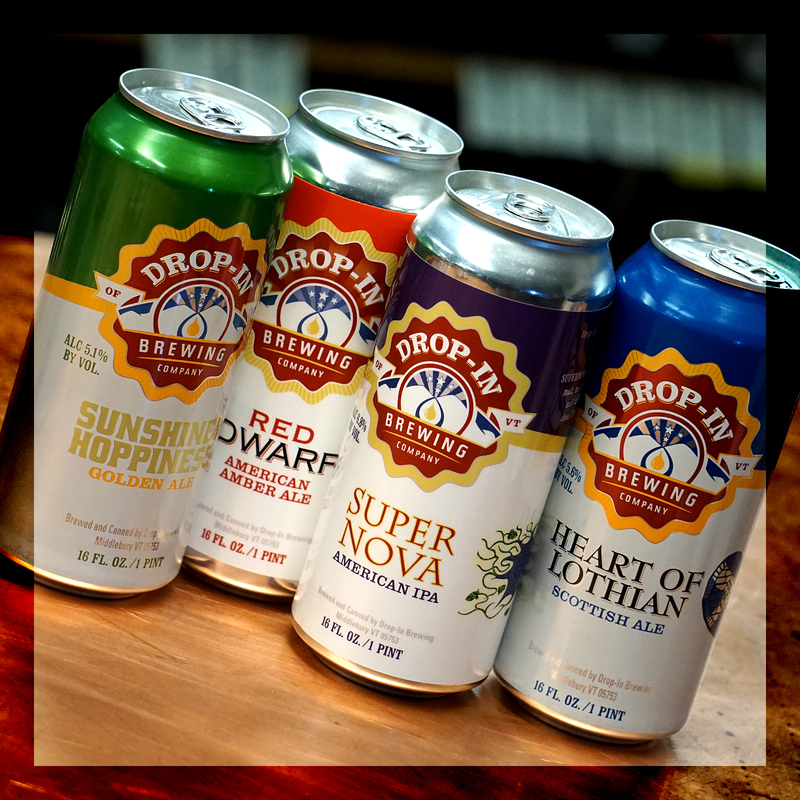 We produce a variety of ciders – from everyday drinking ciders, to our rotating seasonal releases, to our single-varietal Estate Series, and are excited by new ideas and creativity when it comes to our recipes. 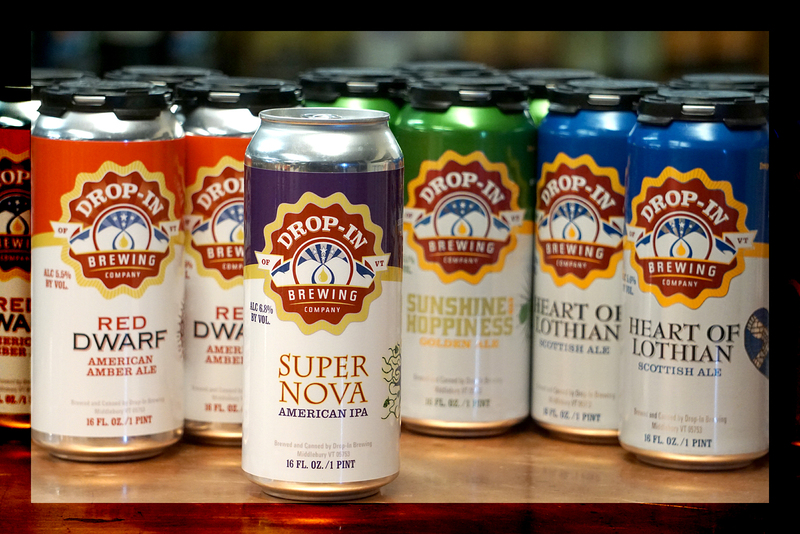 With a nod to the early days of the cider scene and an appreciation for innovation and creativity, we take traditional hard ciders and put our own modern Vermont spin on them. 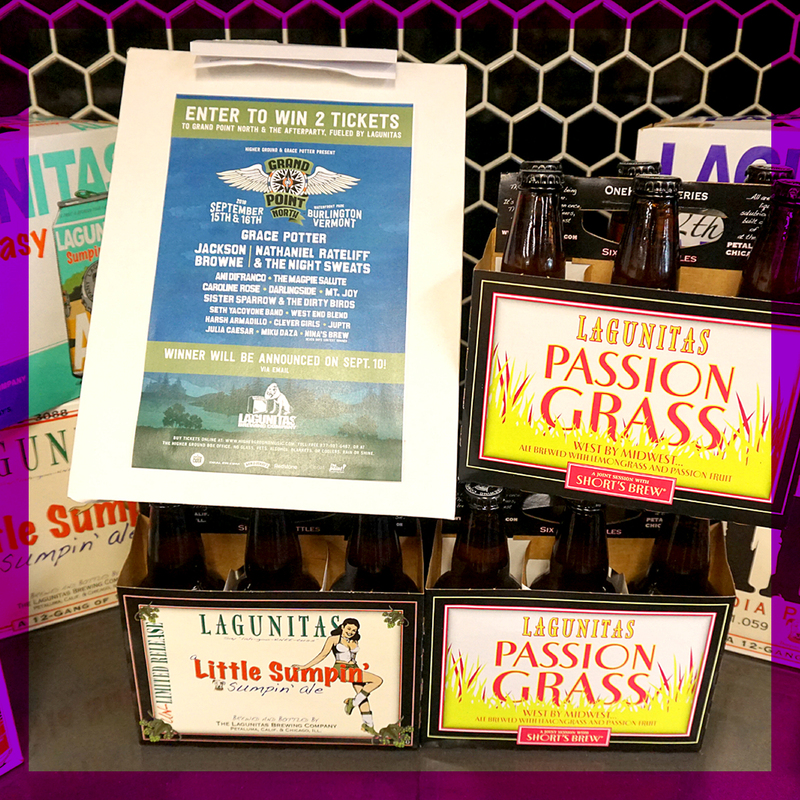 Come sample some Vermont craft goodness! 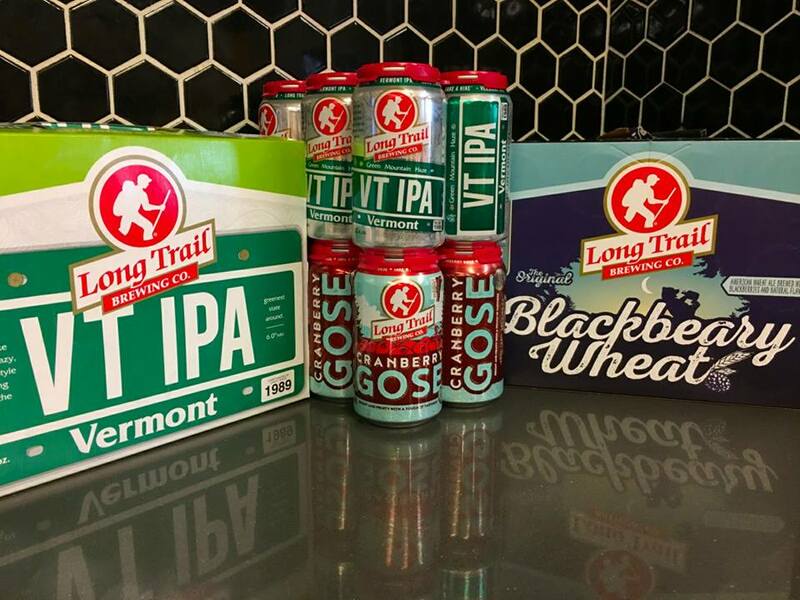 Check out the all-new Long Trail VT IPA, and sample seasonal faves including the Long Trail Cranberry Gose and Blackbeary Wheat. Introducing our take on the hazy, hoppy style coming from the Green Mountains! Our brewers have been developing this recipe for the past year; playing around with yeast strains and hop combinations in search of a smooth, juicy offering that pleases palates. 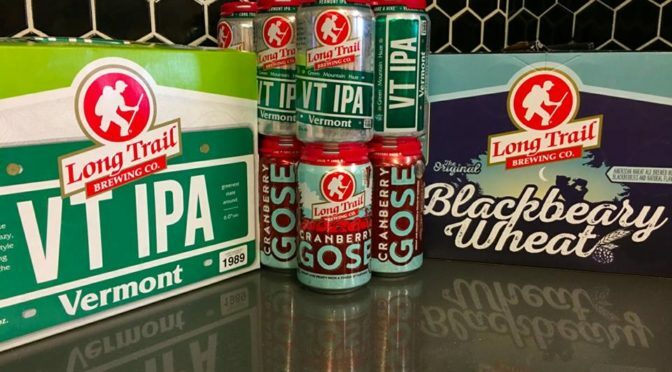 With VT IPA they found the perfect balance of tropical fruit and citrus flavors through a heavy dry-hopping of Citra and Amarillo hops, which give distinct tangerine, mango, pineapple and grapefruit character. The juicy hop profile is complemented by the grist, which features a heavy hand of flaked oats and aromatic Munich malt to deliver a smooth mouthfeel and hazy appearance. 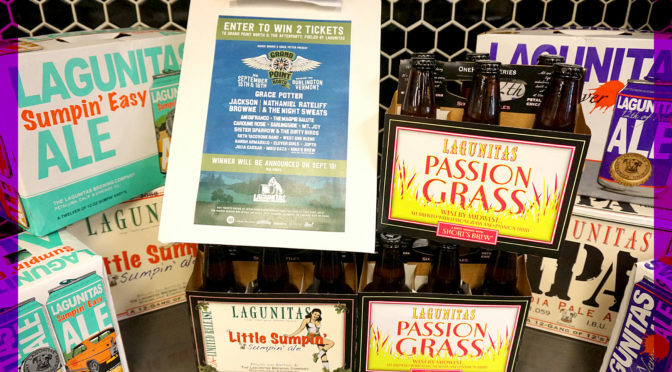 What sets this beer apart -aside from the soft bitterness – is the introduction of a new yeast strain that provides the beer with more neutral notes and juicy esters that enhance the hops.